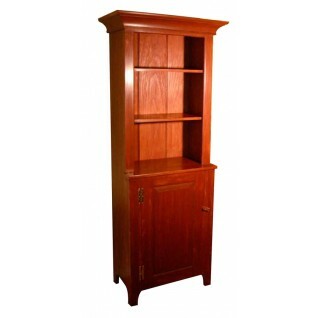 Synopsis: This is the first of three articles in which Gary Rogowski builds an Arts-and-Crafts sideboard. Rogowski designed the piece to look like a Greene and Greene piece, but with a more contemporary and less ornate feel. 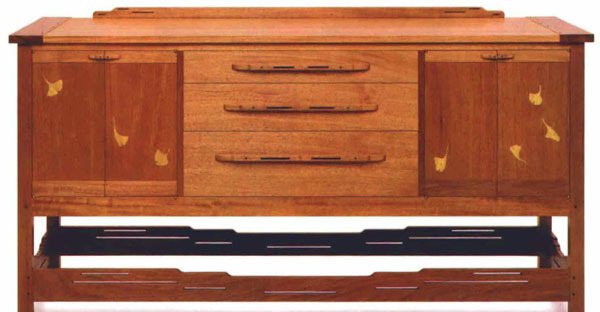 This challenging sideboard has many pieces, joints, and cuts, so the key to successful completion is breaking the project into manageable sections, then splicing them together. Rogowski explains how planning, drawings, and design are important to do first, and then he talks about how to mill your stock. Then construction starts. You begin with the ends, connect them with the rails and stretchers, and divide the carcase for doors and drawers. Then you make and fit the back. Multiple detailed project plans, step-by-step photographs, and side explanations accompany the article. 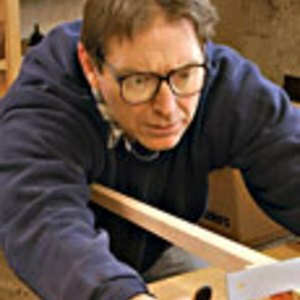 And Rogowski includes information on making a jig for centering grooves and dovetails.